Have you finally decided to benefit from kratom? Well, you have made the first and most important step. However, one thing that is likely to cross your mind is; where am I going to get some quality kratom? When you Google the word kratom vendors, you will be presented with a plethora of sellers. Most will claim to be the best in the market. You, however, can’t trust what they say. You must do research. Have you come across Royal Kratom in your research? Below is it is review. 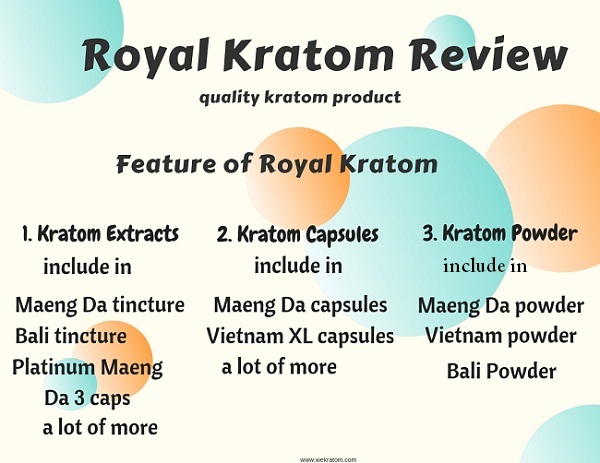 1 Who Are Royal Kratom? 3 How Deep Will You Have To Dig Into Your Pocket? 4 What’s The Quality of Their Kratom? 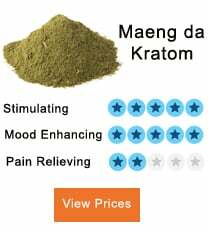 5 Do They Have An Ideal Selection Of Kratom? 6 Does Royal Kratom Have Coupons Or Discounts? 7 Is Their Customer Service Helpful? 8 What About Their Reputation? 9 How Do I Contact Them? 10 The Procedure of Order Placement? 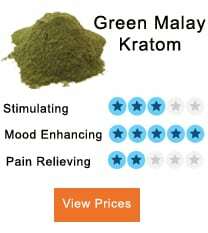 Royal Kratom is an online vendor of kratom products. They are based in California. However, they do ship kratom products to nearly all the states in the United States. The only exceptional states that they can’t ship their kratom to are Arkansas, Alabama, Indiana, Tennessee, Vermont, and Wisconsin. However, if you are from other states, you can directly order for your favorite kratom strains from Royal Kratom. They have a dedicated team that imports kratom from the Far East (Asia) and have the strains properly extracted to provide you with the best effects. 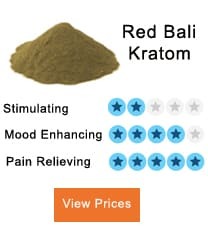 Royal Kratom ranks high among online vendors. This is because they not only have quality products but are also a reliable company. Do you prefer kratom extracts over powder? Then you can find it at Royal Kratom. They have different extracts in this section, and some include the Maeng Da tincture, the Bali tincture, the Platinum Maeng Da 3 caps and a lot more. Capsules are also unique in their way. You can easily carry them in your bag and conveniently take them wherever you are. Unlike powder where you will have to brew it, the capsules can be taken directly. At Royal Kratom, you will find Maeng Da capsules, Vietnam XL capsules, and others. Some come in a group of 10 capsules whereas others come in 30 capsules. It’ all up to you to choose what you prefer. The great thing about Kratom powder is that you can buy it in bulk, store it well and use it whenever you want. Kratom powder is a favorite to many. Have you ever tried out Royal Kratom powder? If you haven’t, then you should attempt doing so. It’s perfect. You can choose from the different varieties inclusive of the Maeng Da Powder, the Bali Powder, the Vietnam Powder amongst other strains. In summary, Royal Kratom does have nearly all the strains that you could want. Moreover, these strains are in different forms. Whether you prefer extracts, capsules or powder kratom, you will find it at Royal Kratom. Not to mention, they are of the best quality. How Deep Will You Have To Dig Into Your Pocket? You don’t need to worry; Royal Kratom won’t make you go bankrupt. It’s because they do sell their kratom at pocket-friendly prices. Compared to other online vendors, Royal Kratom sells at a relatively affordable price. Additionally, judging from the high quality of their kratom, you will be getting your monies worth. A 15 ml of the Maeng Da tincture goes for $23.99, whereas the Bali tincture costs $14.99. The strongest tinctures such as the 20x Royal Kratom Extract costs $35.99. But, with such an extract, you can be assured of getting your desired effect fast and for more extended periods. In the case of capsules, the price depends with the strain that you intend to get and the size. For instance, the Maeng Da 10 capsules go for $3.99. However, the Vietnam XXL 150 capsules go for $59.99. It may seem that the latter is more expensive, but if you do the math, you will notice that the more capsules you buy, the more economical it is. Similar to capsules, the pricing of the kratom powder is dependent on the grams and strain. A 150 gram of the Maeng Da Powder costs $69.99. And, the 15 grams goes for $11.99. As mentioned above, the more you buy, the more you save. What’s The Quality of Their Kratom? The quality of their kratom is relatively good. Having been processed and grown under the best conditions, you can be assured of high-quality strains. Moreover, quality also depends on the strain you use. Some strains will give you mild effects whereas others will kick in within the next 20 minutes. It’s all up to you to choose the kratom strain that you want. Do They Have An Ideal Selection Of Kratom? Yes, they do. You can choose from the Maeng Da, The Bali, and Vietnam. In this section, we have to admit that Royal Kratom has an average selection of kratom strains. As you can see from the list above, some strains are missing. For instance, they do not have the red horn or the White Borneo. Neither do they have the Green Malay. Does Royal Kratom Have Coupons Or Discounts? Momentarily, Royal Kratom does not have any coupons. But, they do give discounts to their loyal clients and orders that have exceeded their set amount. Is Their Customer Service Helpful? If you have an issue with your order or you can’t find a kratom product, you can then call or email their customer service. They are quite helpful and will direct you. They also have a well-detailed FAQ page. Though not that popular, Royal Kratom has a positive reputation. You can check out other reviews and even on Reddit. You will find out that they have an excellent public image. On the far left top corner, click on the drop-down menu. There, you will see the word contact us. Click on it, and you will see their email address and phone number ((760) 602-1094). You can also contact them directly from the site. The Procedure of Order Placement? You should log into their site. Make sure you register your details accurately. You can then browse for the product that you want, add it to cart and then check out. You will pay and wait for the kratom to be shipped to you. On a scale out of 10, Royal Kratom falls at a 7. They have high-quality kratom, are reputable and have excellent customer service. If you intended to make them your vendor, then you have a green flag. They also accept returns for kratom products that have gone bad or are below standard.